You are here: Home / Unemployment / SOCIAL SECURITY DISABILITY BENEFITS AND UNEMPLOYMENT BENEFITS: TO TAKE OR NOT TO TAKE? In Florida, if you qualify for both unemployment and Social Security, you will receive your full check under each program; Florida will not reduce your unemployment benefit if you’re getting Social Security. However, filing for Social Security disability benefits while receiving unemployment benefits is problematic, because you are sending each program contradictory messages . TO COLLECT OR NOT TO COLLECT: WHO SHOULD AND WHO SHOULDN’T? In order to qualify for Social Security disability benefits, you must show you are unable to “perform substantial work activity due to a mental and/or physical impairment”. 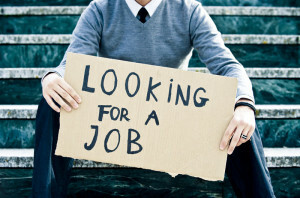 But when filing for unemployment, you are stating you are ready and available to perform work within your work skills. I advise our clients against collecting unemployment benefits when applying for Social Security disability. Social security judges (called Administrative Law Judges, or ALJs) often deny the disability claims of those who are collecting unemployment benefits because they claim that the filer is not disabled. An exception may be an older worker who may meet social security’s definition for disability if he/she cannot perform light work but can perform sedentary work. Under these limited circumstances, the claimant may qualify for both Social Security and Unemployment, if he/she is not working. The Social Security admin states that receiving unemployment benefits does not prevent someone from receiving Social Security disability benefits, but this is a slippery slope. Discuss this issue with a competent and experience Social Security lawyer. Tips on what to look for when selecting an experienced Social Security Disability can be found here.